So The Power Went Out...What Now? Let's be honest, for most of us, it's very difficult to imagine life without an automatic garage door opener. Luckily, here in sunny San Diego, home of the finest weather in the country, we don't have to worry too much about having to get out and open our doors in a blizzard or scorching 100 degree weather. But, like the rest of the country, a growing number of us use our garage door more than our front door. That being said, it can be pretty frustrating when the power goes out and you can't figure out how to get in and out of your garage. As with most things in life, preparation goes a long way. It's better to know how to work your garage door in a power outage BEFORE the power goes out! Just about every garage door opener has an emergency release cord. These are made to be easy to use, quickly and without struggle. Most work by simply pulling the cord down, which will disengage the trolley from the opener, allowing your to move your door up and down manually. Please note--It is very important to be sure your garage door is fully closed when you do this, as an open door could possibly slam down and cause injury to a bystander or the door itself. If, for some reason, you expect to need to keep the door in the manual position for a longer period of time, pull the cord down AND back. 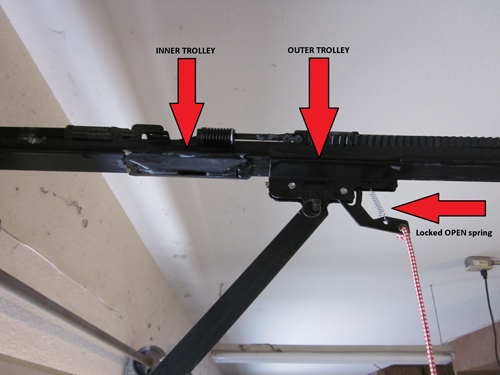 This will disengage the trolley and keep it from reattaching when it's closed again. Once the power is back on, reconnecting the door is usually as simple as pushing the button on the automatic opener. The carriage will move to the trolley and snap back into place on it's own. If this doesn't work, make sure the door is closed and pull down and towards the door on the emergency release cord. Either way should do the trick. As the largest and heaviest piece of mechanical equipment in your home, always be sure to keep a close eye on things when you are changing from automatic to manual modes. The automatic opener is a cohesive system, and while it is designed to switch back and forth, problems still can happen. If your springs or cables have been neglected, they may struggle without the aid of the opener and can be very dangerous when weak. Stay alert, and if you are worried about any parts malfunctioning, give your garage service company a call as soon as possible. If you have any other questions, give us a call anytime. 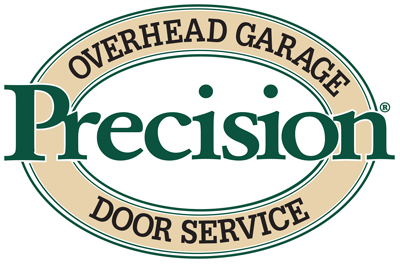 From Precision Door San Diego, here to help with all your garage door needs! My customer service experience with your company, both on the phone and with your man Rory, was exceptional! Very polite, professional and helpful.